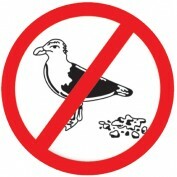 Bird-B-Gone Inc. is the leading manufacturer of bird deterrents and is dedicated to solving pest bird problems. The business of Bird Control is constantly changing and is loaded with products and services with varied successes as bird barriers. Because Bird-B-Gone, Inc. is only involved with bird control, it is our business to stay on top of this evolution and provide our customers only the best in products, and service.